Provoking is her business, will you hate or love her? The choice is upon you. Tracey Emin does not need a pompous introduction. Representative member of the YBAs, she’s been successfully delivering her art for over two decades. Throughout her career, she’s experimented with many media and flavours but has never lost her raw, open tone, akin to Sarah Lucas’ one but imbued with a glum romance. Thus we can say, that Emin really has her own, bold style: from the scandalous My Bed (1999) – shortlisted for the Turner Prize and exhibited at the TATE Modern – through the series on Princess Diana, to her ‘neon quotes’, is clear that her mischievous world of vice revolves around herself and her personal relations, in particular the ever-suffered one with the ‘beloved’. 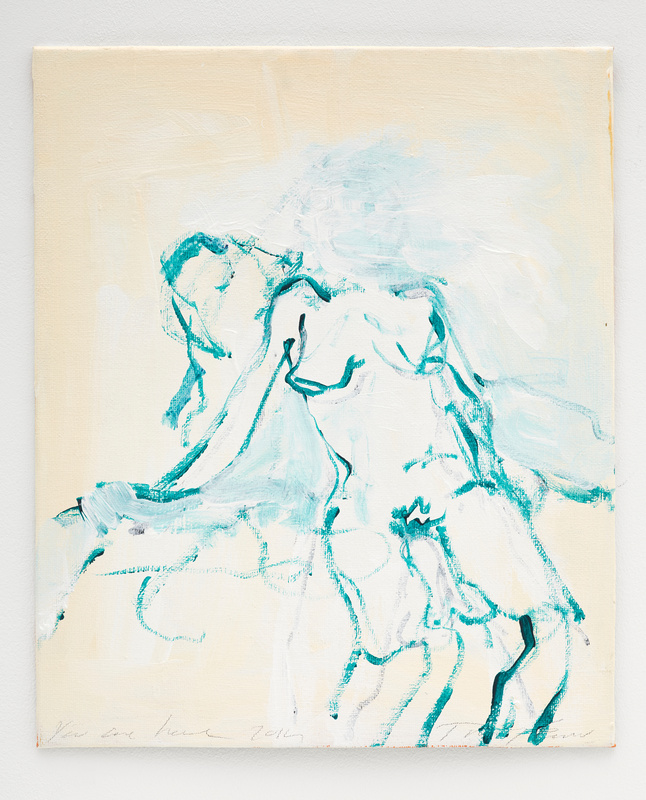 The White Cube will make Emin’s world accessible to the public starting from tomorrow. The last great adventure is you is a new major show, the first in five years at the gallery, featuring works that encompass almost all the media she’s ever worked with: poetic bronzes will be exposed alongside her sketchy drawings, installations and, of course, embroideries. The title itself became an artwork, a neon sign that will be welcoming visitors in the brightest way, yet recalling Emin’s pivotal reference to the ‘significant other’ which, ultimately, implies a prior, inner reference to the self. The last great adventure is you is at the White Cube Gallery from October the 8th through November 16th 2014 – free entry.